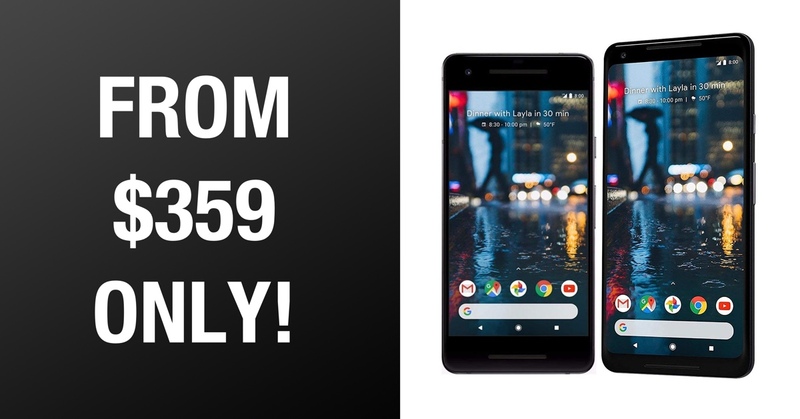 A collection of certified refurbished Google Pixel 2 and Pixel 2 XL smartphones are now being offered at a discount via Amazon. Generally considered one of the best devices to ever grace the Android platform, Google’s Pixel 2 hardware is instantly going to take your smartphone game to the next level. This hardware will arrive on your doormat looking, feeling, and functioning like new, and backed by the 90-day Amazon Renewed Guarantee that should provide you with peace of mind about the purchase. And, of course, you’re going to immediately benefit from all of the power and versatility that this wonderful hardware offers. The Pixel 2, or Pixel 2 XL, offers the very best Android smartphone experience that you can get your hands on. It comes with your own personalized Google experience, offers water resistivity, charges extremely fast, and has a stunning AMOLED display running Android Oreo 8.0 under-the-hood. The camera experience is utterly sensational and acts as the perfect choice for anyone who regularly uses their smartphone as their main means to bring photos into their life. Like all good things, the deals below simply will not last forever. The prices have been reduced for a limited period of time or until a certain amount of stock fly off the digital shelves. So, with that in mind, make sure you act quickly to snap up this wonderful hardware at this wonderful price.